Investigation of cloud water interception in a tropical montane cloud forest. 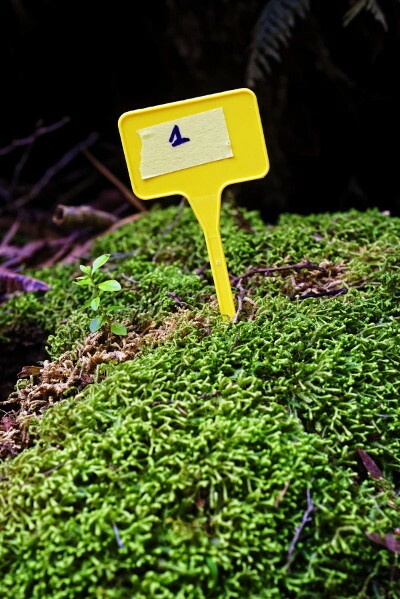 Forest ecohydrological functioning investigated using two liverwort species. Novel approach using lysimeters to quantify cloud water flux through bryophytes. Species intercept cloud water efficiently, but differ in water-holding capacity and flux. Differences in CWI related to plant architecture as well as microhabitat. Epiphytes in tropical montane cloud forests (TMCF) intercept atmospheric water and, as a result, form a vital part of the hydrological cycle of this ecosystem. Our study investigates the role of bryophytes in such systems on La Réunion Island (Mascarenes). To better understand ecohydrological functioning of the forest, we investigated cloud water interception (CWI) by two locally abundant liverwort species (Bazzania decrescens and Mastigophora diclados) using a novel lysimetric approach. We also evaluated biomass and water storage capacity of our study species, as well as of the entire bryophyte community in our plots, which we extrapolated to the forest community level. Both study species exhibited excellent abilities to intercept and store cloud water, and showed distinct diurnal variation in this ability according to varying climatic conditions. 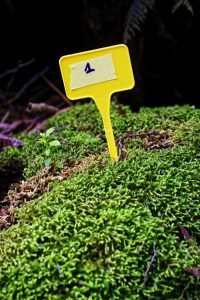 The two liverwort species' response to climatic conditions differed dramatically from one another, with B. decrescens storing double the mean and maximum litres of water per hectare despite having less than half the abundance of M. diclados. Despite its lower water storage capacity, M. diclados had a greater ability to intercept atmospheric moisture than B. decrescens. The differences in CWI were attributed to differences in plant structure of these two species, which explains their microhabitat requirements in this system. Our two species in this system were estimated to store 34,569 l.ha-1 of water, the equivalent of 3.46 mm of rainfall. The abundance of our study species combined with their atmospheric water interception, storage, and regulated release ability make both species ecologically important in the forest' microhydrological cycle. For the first time these data allow us to better understand the role of these plants in the microhydrological cycle of tropical montane cloud forests and to determine whether the diversity and functioning of these and similar systems will be at risk from predicted cloud layer/coverage lifting. Ce contenu a été publié dans publications par . Mettez-le en favori avec son permalien.